I decided to make the Amy Butler Blossom handbag for my mother-in-law for Christmas. This is my favorite purse and each time I make this pattern I seem to change a few things. I have been trying to figure out just the right combo of interfacing and I think I finally have it figured out. This time I used craft fuse for the outside fabric and on the inside I used craft fuse for the sides and used the Pellon #70 for the front, bottom and back. I also used 3 layers of the craft fuse on the flap and 1 layer of craft fuse for the handles. I used some of the faux leather I bought clearanced at Wal-mart last year. It is a wine color and used a red/wine cotton for the inside. Here are the other handbands I made. This one was made with recycled jeans. 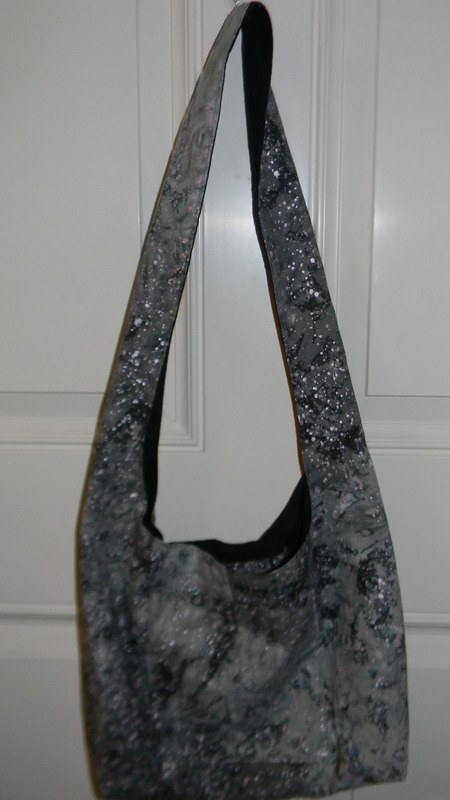 This entry was posted in Posts, purse, Sewing and tagged Free Amy Butler Blossom Handbag, sewing, sewing a purse. Bookmark the permalink. Thanks for sharing. I want to make a smaller one also so your post inspiration!